I have some super exciting news: I’m off to Portugal for a week at the end of this month (June), and I’m literally desperate for a relaxing week in the sun! I’ve never been to Portugal before, which was the reason myself and my boyfriend decided to chose this place as our next holiday destination. So it’s the total opposite end of the holiday spectrum to my earlier trip this year – a beautiful week in Phuket, Thailand. This time, we’re opting for a 4 star huuuuuuge hotel nestled between the old and new town of Albufeira, close to some of Portugal’s loveliest beaches. As I don’t know too much about Albufeira, and Portugal in general, I’m totally up for hearing your recommendations: where is good to day trip? Any great eating destinations? Favourite beach in Portugal? Hit me up guys – I wanna hear alllllll your thoughts! So whilst I leave the recommendations to you lovely lot (here’s hoping! ), I’m left to decide what clothes to bring. 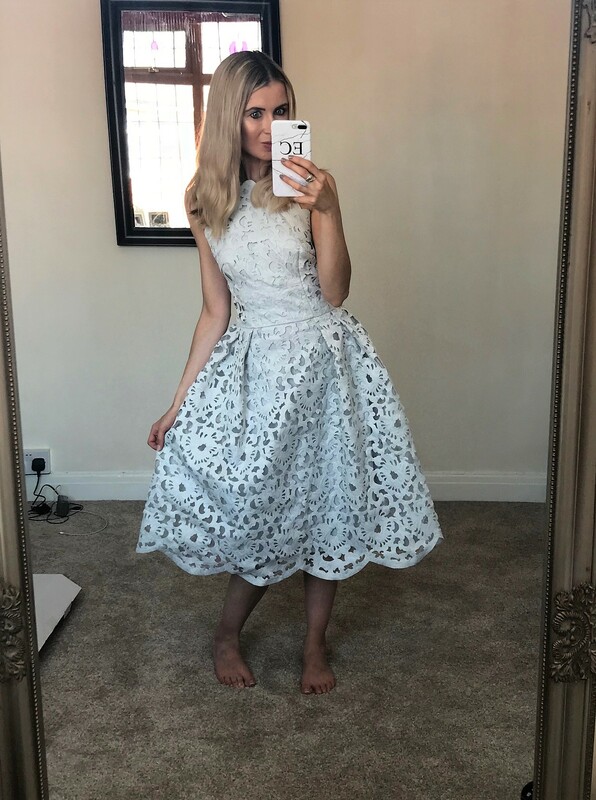 I’m totally going to do a holiday clothes haul over on my YouTube, but I thought I’d share some of them here too. The sassy printed playsuit on the photos above is one of my options, and I feel it will work well on those evenings we want to let our hair down and have a good old dance. Yes, I’ll be looking for the best party destination in Albufeira, as I love a bit of dance music, sipping a cocktail or two and having a bit of a boogie in the evenings! When it comes to bikini and swimsuit shopping for an upcoming holiday, I literally get soooooo excited. Everyone knows I love shopping, but there’s something about swimwear shopping sprees which just win, hands down. The bright and bold yellow bikini above is actually a new one I bought from a swimwear boutique on eBay, and it cost just £6.99! What a bargain, and yellow looks so so good on the beach. I’ve also got a couple of others I’m choosing from, including a bright orange floral print one, a plunge detail swimming costume, and a sassy emerald green version. Stay tuned on my YouTube channel, and you’ll see the haul come up very soon! Now I need a few more Kimonos in my life before I go away, so I can throw them over my bikinis in the day, and over a strappy top or dress in the evenings. Oh, and I also need a couple of matching crop top and trouser co-ordinates sets…. some new heeled sandals… some maxi dresses… ARGH! Two weeks and counting and I need some good old inspiration!